Former Vice President Atiku Abubakar has distanced himself from a video making the rounds on social media in which he is purportedly declaring his intention to run for President in 2019. Former Vice President Atiku Abubakar wants you know that he is not behind the viral video making the rounds on social media in which he is purportedly declaring his intention to run for President in 2019. In a statement released on his social media handle, the former Vice President said the video is a bad job of bad people with bad intentions. 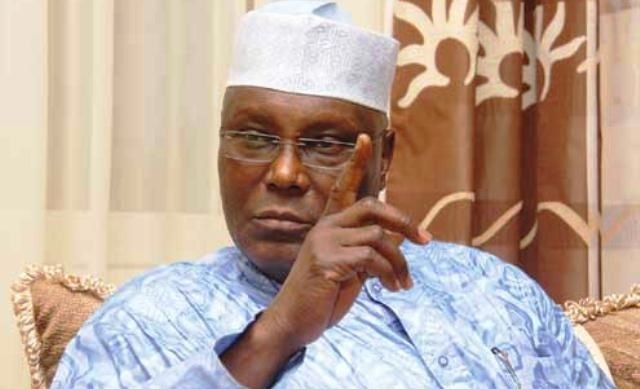 According to Atiku, some mischief makers are using a video clip extracted from his 2011 presidential declaration to create a false impression that he formally declared for the 2019 presidential election. Atiku advised those involved in such "laughable and unintelligent propaganda of lies and intentional mischief to find something useful to do with their time instead of using his name to achieve their malicious political objectives." Describing those behind the fake video clip "as a group of incompetent and bumbling political novices who cannot see the loopholes in their own stories", the former Vice President advised members of the Nigerian press to be wary of uncritically lapping up fake news materials from groups that don't care about their own credibility.